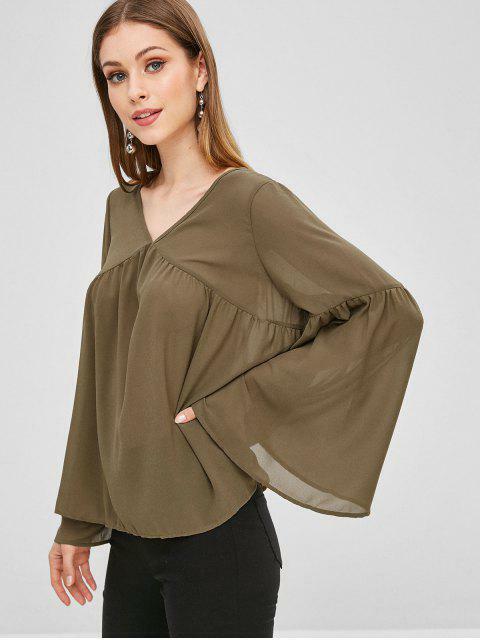 [41% OFF] 2019 Bell Sleeve Chiffon Blouse In FALL LEAF BROWN | ZAFUL .. 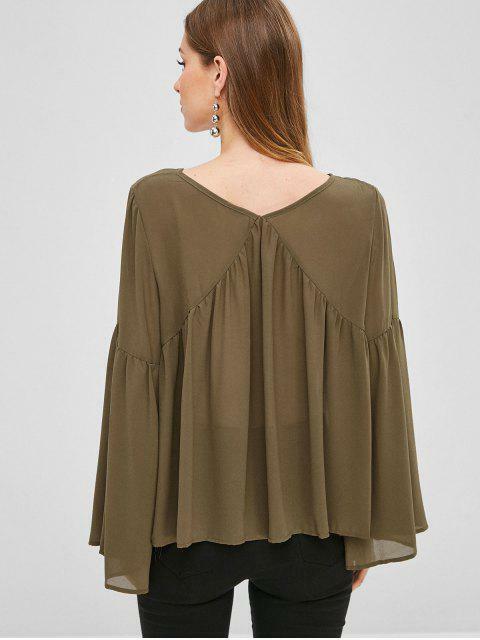 Giving off a sophisticated yet free-spirited mood, it's cut to a flared shape with a V-collarline and dramatic bell sleeves that continue the nonchalant touch. 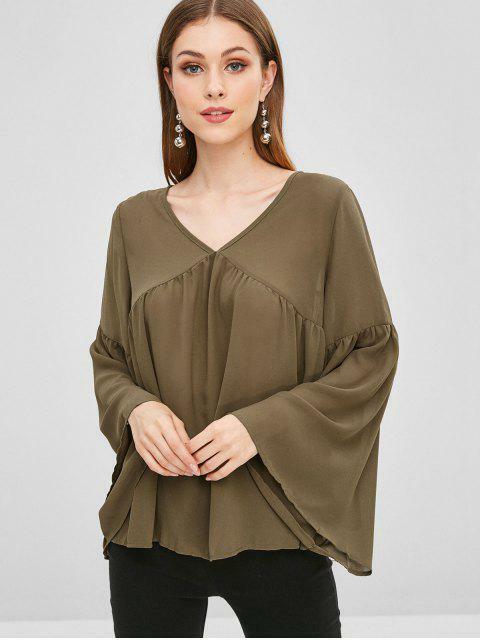 Wear yours with faded jeans and mules to exude effortless flair when heading for sangrias with your gal pals at the weekend.